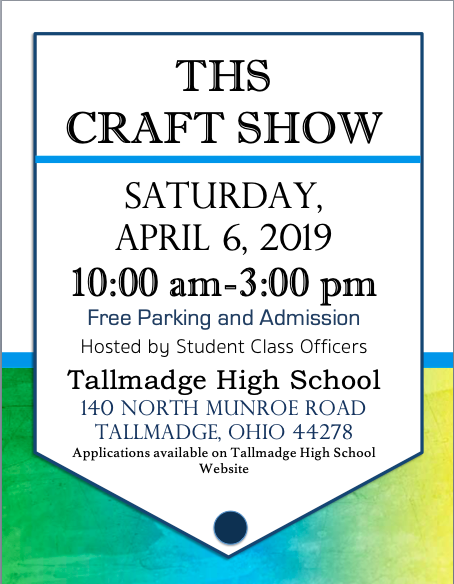 The Tallmadge High School Class Officers will be hosting a Craft Show on Saturday April 6, 2019 from 10:00 am to 3:00 pm at the Tallmadge High School. Parking and Adminissions are free. Craft, art and food vendors are welcomed and needed. Vendors please fill out and return this Vendor Application by March 15, 2019.